Nature lovers delight! Charm filled log home on 55 acres of mostly wooded land. 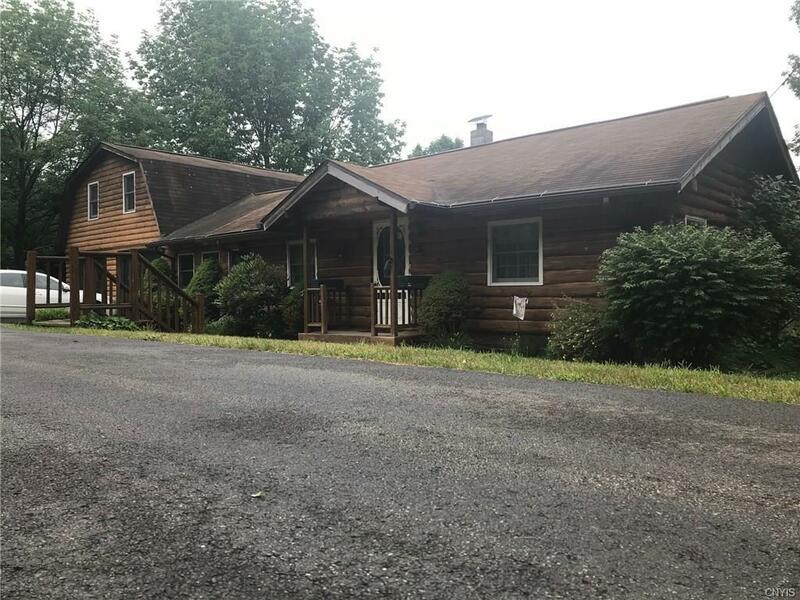 Open and airy eat-in kitchen, formal dining room, living room with woodstove, huge master bedroom, large spring fed pond, 2 car attached garage, workshop, carport, paved turnaround driveway, storage shed and more.